The Board of Directors of the Brevard Hispanic Center invites the community to celebrate Hispanic Heritage Month from September 15 to October 15, 2018. 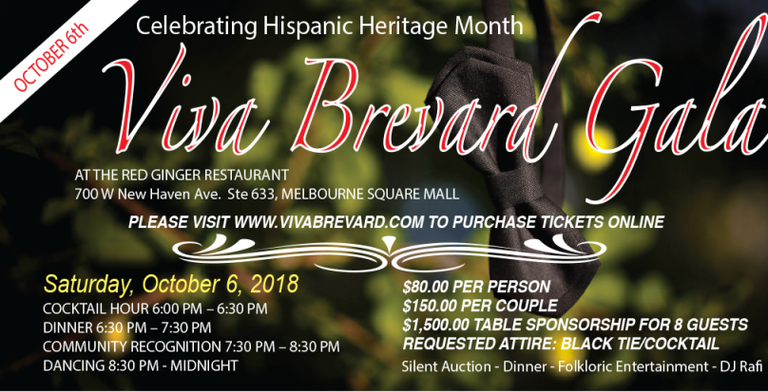 On October 6, the Viva Brevard Galawill take place at the Red Ginger Restaurant, honoring four outstanding members of our community. Great food, Latin music, and other cultural entertainment will make for an enjoyable evening.